It’s an art to deal with the curly hair of your toddler boy. Usually, it’s hard for the parents to decide what kind of look they should set on a child to make him look fashionable. Many parents may already know what kind of look their kids may look great in but at the same time, your toddler is raising his voice against your wish. What to do when your kid is not getting satisfied with the old traditional look? What if they need something out of the box which can make them stand out in terms of fashion and looks? Here we are with the few curly haircuts for toddler boys. 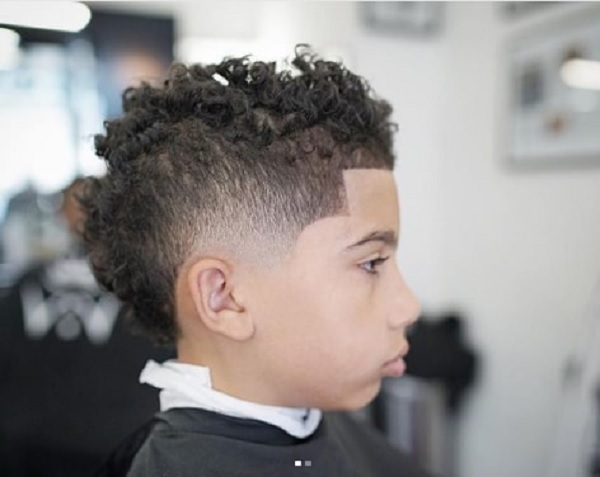 If your handsome boy is not a baby anymore and you can call him toddler now then here we are to help you in picking up the right styles for his curly hair. From razor line to keep them open, you can choose anything for your baby. Help them in wearing any style with confidence and pride. At the time of picking any style for your baby, make sure it’s according to their face cut and must be trendy haircuts. Above all, if your toddler is liking it or not? Following are the trendiest haircuts you can incorporate with your toddler boys curly hair. Style up your little guy like a pro. Mini Mohawk curls is a style which can do justice to your toddler’s curly hair. The natural curl will remain same and mini Mohawk cut will give them a new and trendy look. In curly hair, Mohawk is going to look fascinating. This Mohawk cut will give your kid a sporty and funky look. This toddler boy haircuts for curly hair is especially for the kids whose curls are not tamed and you have to spend lots of time just to control the hair. Tapering will be from both sides as well as from the neck. In this way, hair can be kept away from the face. Tapered cut is an ideal style to tame the toddler’s curly hair. The faded part haircut is suitable for the toddlers who like to keep their hair into two parts. In this haircut, your kid will get a straight side part with the help of razor and little trimming to tame the curls. This is an absolutely cool style for your baby. Faded part haircut is just not suitable for the formal events but for the casual parties too. What’s going to be best than the Ivy League style for your toddler when he has a sporty personality? 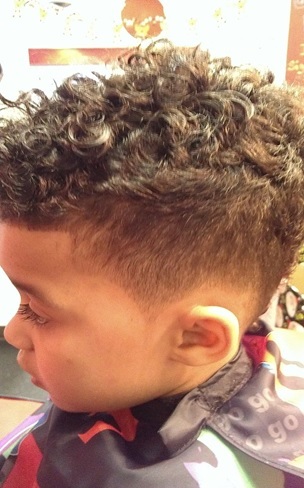 This toddler boy haircut with curly hair is going to make your child super happy and stylish as well. This cut will make your toddler a dapper with the gentle look. Ivy league can be done in any kind of hair. Your toddler is just not going to look like a good boy but a gentleman. This is quite trendy and stylish cut for the boys. The clean and soft sides with razor line on one side are going to make your kid look not less than a gentleman. The volume of the hair must be in the middle of the head. A must adopt look for your toddler, experiment with the hairstyle this year. Comb over is such a simple cut which is absolutely in the trend for the toddlers. When your kid is trying to be simple and you think that’s what he wants, then go for the comb-over. This style is perfect for formal events. Comb over is just not trending in adults but also in kids. Give a new coolest look to your toddler this season. This toddler boy curly haircut is usually best for the boys who are into sports. The sides will be shaved and there will be heavy comb-over in the middle. This is suitable for toddlers with thick strength and whose hair is healthy. The undercut is one of the cutest styles for your toddler to make them look more innocent. A simple hairstyle for the boys who like to keep everything simple. Here is the cutest toddler boy curly hairstyle. Toddlers with such a funky personality and who likes to lose themselves into the music, this is just the right choice for them. Comb them over and give your toddler a look of Afro. This is a must adopt party style and definitely, people are going to praise your styling skills. Afro is such a traditional and amazing look for the curly hair. The best cut for your party freak toddler. When to Cut and How Often? You should take your toddler for the haircut in every 3 months. Due to the rough edges and to enhance the growth it’s important to trim. When it’s time for a cut always make sure you are consulting to someone who knows how to deal with curly hair and ask for their recommendation as well. Due to the sulfate shampoos, your toddler’s hair may get rough. Normally you should take your kid to the salon for the cut in 3 months. The maintenance of curly hair needs little attention as compared to the silky hair because they may get tangled and if you will not tame time to time then it will become rough and you won’t be able to do any curly hairstyles for kids. Stop washing your toddler’s hair every day with a shampoo, instead use shampoo in 2-3 days. Don’t use a fluffy towel on curly hair, as it makes hair rough. Use some t-shirt and lightly dry their hair. Always find a stylist who must be experienced in cutting when it comes to the curly hair and don’t forget oiling of course. Curly hair just needs proper attention and right kind of haircut to control. Curly hair is sensitive and that’s why one should always use baby shampoo on toddler hair instead of high chemical shampoos. 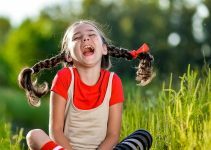 Always experiment with your toddler’s hair to make them feel different all the time but make sure that the change is good and with the consent of your child. Take Inspiration from these toddler boy haircuts with curly hair.